Re: any other skiers on the board? Dave, Like I said, I'm as new to this as you so you may be better off getting your info from some others on this site that have put a lot of time in already. That said, the set up I went with was the Fritschi Vipec Evo binding on a Voile BC supercharger ski. A little more high end than I need but at half price I could afford it.The skis I have for sale at Gear Xchange in bishop are Fritschi Freeride Pro size XL and small on community skis (local sierra company). I bought the community skis used for $200 from eastern sierra mountain guides and am trying to sell them for the same now since I didn't care for the track bindings. If you are interested in those skis you can see them there, and I'd be happy to reduce the price for you. I'm headed up there Next month and will be grabbing them if they don't sell. I can send you some pics later when I get home. Thanks Phil...if in bishop ill check em out...i guess i dont know the difference between bc and AT...im not interested in downhill blasting or mogul skiing just climbing up and sliding down leisurely.I find the trek back with snowshoes a bit tedious/slow-would be so nice to just glide back to the car! Davela, I feel your pain since there is no where close to us to look at XC skis and bindings. You are always welcome to come by and take a look at my set up, and even borrow my 2 year old BC NNN set up so long as you can fit into a size 13 boot. I used my 80 mm BC skis last year with BC nnn bindings and realized that was not going to work on any thing more than fire roads or groomed tracks. After using those for a season, I realized I needed to significantly upgrade, and I'm glad I did. This season with my new set up, I was able to hike almost any where i wanted and ski down easily. The way I have it figured (I may be off a little since I am only one step ahead of you) is that most Back country xc skis are just regular powder skis with either tele/three pin, track and AT bindings on them. Skis with a BC in the name means that they have scales. This allows for up hill traction to about 20 degrees without putting on skins. Xc skis with out the BC in the name are just normal powder skis with out scales. For example Voile makes a supercharger ski as well as a supercharger BC. Thanks Phil!Yes i think its the AT with2 pin setup that i want.I also dont want clacking noises which i kind of get when going back down on snowshoes.I rentedy xc skis from eastside last year and it was beautiful going uphill and a disaster going down. There always drawbacks to whatever system you choose so i have to consider that.With snowshoes i can go anywhere,no planned route per se.With skis i think you have to sort of know in advance what terrain you ll be facing and whether its doable...i digress.In january i went up to blue lake from sabrina basin and no way i could ve done with the route i did. Yes Phil you got that all right. I did a lot of research on this subject and am very happy with my set up. My skis are not scaled since I use them at the resort. They are also on the heavier side for a true AT ski. Eventually I will get a lighter scaled ski for more serious touring. I used a frame style binding and knew it was way too heavy so I went to the 2 pin Tech style binding. You refer to that as an AT binding, but I would say the proper term is Tech AT binding. That way there's no confusion between frame style AT bindings and Tech style ones. The Tech style is the only way to go and all of the new bindings ski incredibly well downhill and have release values that are certified. They have come a long way since the originals. I honestly could feel no difference skiing downhill on my tech bindings versus a traditional alpine binding. Surfing - the most competitive sport. If you don't win (you catching this wave instead of several other stronger paddlers than you) you aren't allowed to participate (catch the wave). Don't win, don't play. Golf - the most frustrating sport. Backpacking -the hardest work sport with a great reward (fishing and your memories). Peak bagging, JMT bagging, PCT bagging - the most impressive. (Why else would anyone do something that is so physically and mentally difficult and not get paid money)? PS: I'm not very materialistic. Cross country skiing - just hard work. Nothing else (maybe chest beating). Downhill skiing - playing. Just plain playing and pleasure and fun. Lots of people have trouble with fun. If you need to prove something, downhill skiing might not be for you. It's only fun, nothing else. I believe these, but let it be said that most of what I write is just entertaining myself and obviously my opinion. Thanks for the correction Mike. What I have are tech bindings. I took my BC skis to a local hill to try them out on some down hill before getting out in the wilderness. To be honest, I didn't notice much of a difference between them and my regular powder ski. They may have been slightly slower, but there different seem to be any difference in the edges. Dave, don't be discouraged by the regular XC NNN skis. I am a pretty good skier, and couldn't control those things downhill to save my life. The AT set up is just like regular skis and I'm pretty sure if I could do it on shoes, I could do it on AT skis. If you get a chance, head to Mammoth Mountaineering and rent a set of AT skis. Disgustingly dry start to winter so far but such has tended to be the new status quo this last decade plus. Now into November, our 2018/2019 winter season will begin when the jetstream stuck far to the north moves back south. I've already had Vail A ding my bank account for another Epic senior Tahoe Local Value Pass so again will be skiing Kirkwood, Heavenly, and Northstar. Late last season bought some Daymaker bindings that are sort of like the old Alpine Trekkers. Tried them out one day up at Sonora Pass. Allows wearing alpine ski boots into normal ski bindings in a free heel mode for climbing up modest gradient slopes. 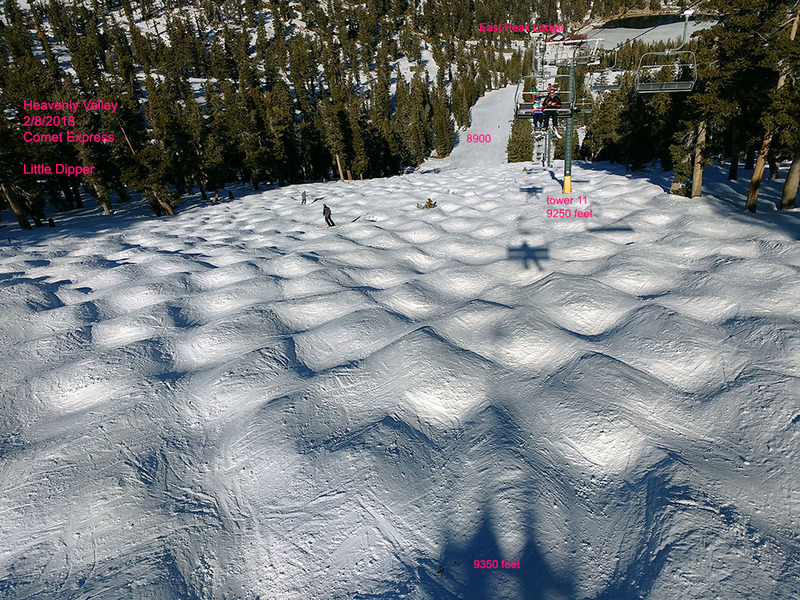 Hope to do some powder skiing videos on some wide open slopes I've surveyed in the Carson Pass area. Last winter given pass access to 3 resorts, changed my focus from years of mostly Kirkwood to Heavenly because the rec mogul skiing on Little Dipper is better than anywhere else is the region and there are many more bump skiers on those slopes on any given day that is important for keeping loose packed powder snow surfaces. 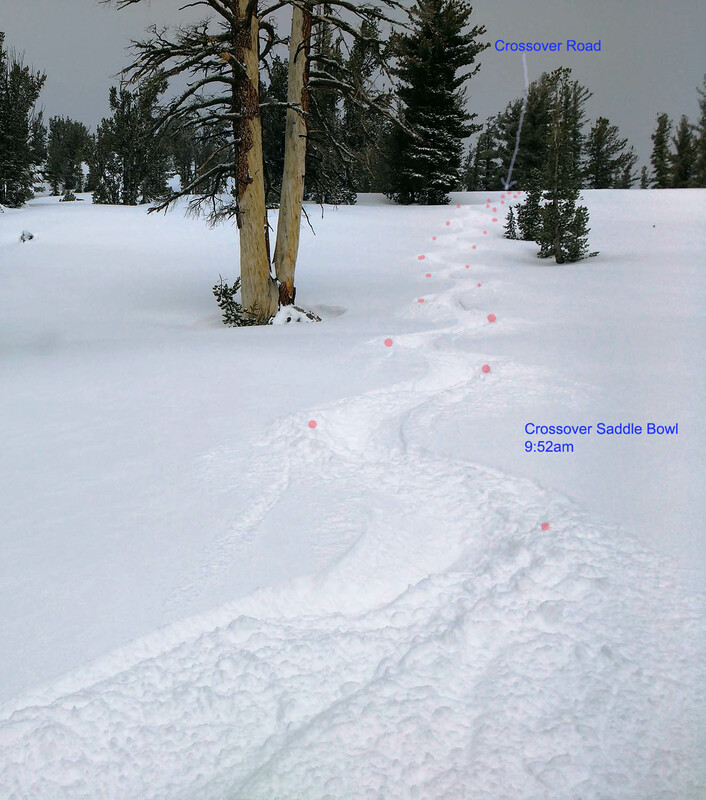 I'm also able to get more untracked fresh powder runs in there midweek because there are large expanses of tree runs that the more obscure of which are slower to get tracked up. In any case will get good numbers of days in at KW too. I like cross-country skiing. In the last several years, however, I haven't done much because it hasn't snowed enough and there is a lot of traffic getting there. You have to leave in the middle of the night which I don't like. 2017 was an anomaly in that there was plenty of snow. 2019 is looking like most of the other years where there wasn't that much, even with it being an el nino. Currently, seems like there's going to be more smoke than snow. I am getting more sunburned driving in my car in Nov than I did all summer!I saw the smoke plume over Malibu from Venice last Thursday morning and can't believe how it exploded so big in a few hours. Possible precip is forecast here in LA for next week.Hope the Sierra gets hit.Maybe a road trip over turkey weekend. Forgot all about AT skis over the summer!